1-Get a screen protector. The best way to get your screen from getting cracked in the first place is to use a screen protector, that way if you lose your grip or your phone gets hit by something, the screen protector bears the brunt of the problem. So your screen is already broken, a screen guard could also do the job of keeping your ipad together, but only temporarily, till you figure out a way to get the screen fixed. 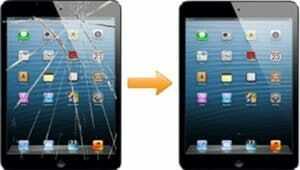 If you are a bit short on cash, using a screen guard could work its magic. This method works well enough to hold prevent pieces of glass from falling out your phone. If your phone isn’t cracked so bad, the screen guard could hold your phone together, but be warned that it doesn’t do your ipad mini any favours, in terms of water resistivity. 2-Have our technicians look at it. You might have to leave your tablet in the store for a couple of days, but no matter, it’s worth the wait. If you have an apple care+ warranty, you get the phone fixed with a grave fraction of the cost. If you don’t have a warranty, you get to pay a bit more, but don’t worry about the cost as fixing it with them, will also fix the water resistivity problem caused by the crack. 3-You could fix the phone yourself. When you’re trying to get your ipad mini screen replacement done yourself, checking online for DIY videos is your best bet. This method is not recommendable, as a tool kit can cost as much a considerable amount of money, while fixing the screen with our technicians will cost a little less than your average tool kit. 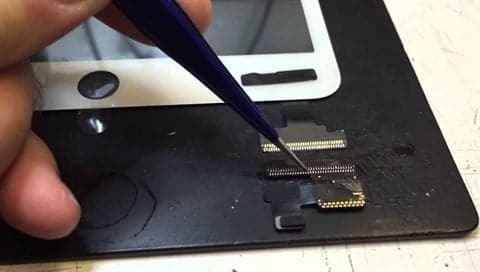 Fixing the screen yourself also means you don’t get your water resistant feature back, as the adhesive holding the screen to the phone gets taken off.